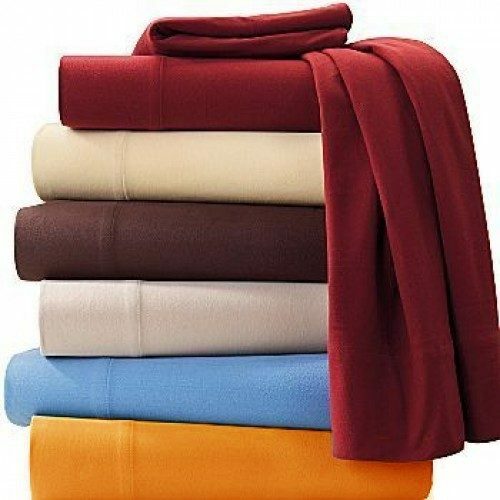 Micro Velvet Queen Sheet 4 Pc Set Only $14.99! Ships FREE! You are here: Home / Great Deals / Micro Velvet Queen Sheet 4 Pc Set Only $14.99! Ships FREE! This is a fantastic deal on queen size sheets! Order the Micro Velvet Queen Sheet 4 Pc Set Only $14.99! Ships FREE! These Micro Velvet Sheets will keep you cozy and warm all year long. Snuggle up in this luxuriously soft and comfy bedding and sink into a good night’s sleep. Made of 100% Polyester. Click here to check out more Great Deals!